I figured I'd make this thread since I wanna finish this transmigration, I think I can do it, and I'd like to hear everyone's experiences/strategies so far. I got up to wave 35 with Rose - Daji - Shyplant - Yidhra - Maylily + Rose. The 98 round debuff killed me. I think I have a fair shot of going all the way with DW Daji and Cornflower (haven't cashed in my All Max yet, planning on getting him) swapped in for Maylily. Anyone got any tips for me? On a more serious note, I finally cleared it today using Sakura. 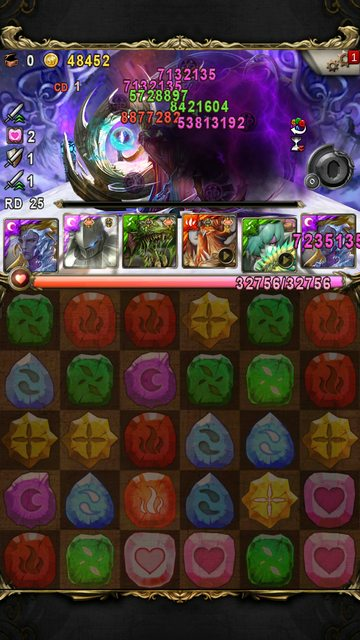 I've also seen video clears using Atlantis, Hephaestus, KOF, Azathoth, Daoloth among others... will post them when I get a chance tomorrow. Kinda trying to see if I can manage a Heph clear that doesn't depend on Kyo since that's been the majority of Heph strategies I've seen. I managed to get up to Yog life 1 with Heph + Bedivere + Shakuro + Seth + Lionel + Heph and died due to a stupid mistake. Gonna try again as the week goes on, I think. Ah, I thought I was the only one who faced intense lags for this stage, seems to be a universal issue. Nice clear btw Agnesi and Aahlsy, saw your names on the leaderboard. I got to stage 48 with the classic Daoloth setup but met Hades and I hadn't removed the recovery debuff beforehand because I didn't leave enough actives to push it off screen. Will probably try again once the stage is more stable. On a side note, impressed you got that far using Rose with the lag Fauxy, I woulda messed up for sure using that team if the frames weren't smooth. Oh, I wish I was good enough at spinning to do 3 rows every turn with Rose haha. 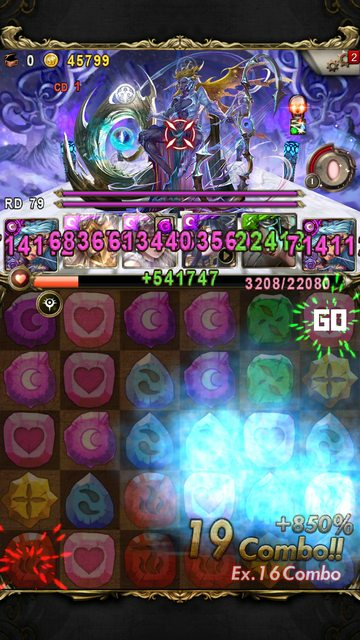 But CF seems to be really important for elves, since he has two global buffs to help push off debuffs. I do notice the lag, it's really irritating especially with a team that needs precise spinning like Rose. Here's my Sakura clear, split into two parts because I was also experiencing lag and thought it was because of the length of the video. Turns out new!TYR goes pretty well with TYR, they interact the same way TYR does with the dark rare from Pili puppets to get three TYR deactivation buff and keep the absorb going. Honda is there for the over heal shield and then he is only used defensively. Arthur's active is used more for defense than for offense. VR Athena + Rakshasa is pretty fast provided you don't meet that stupid raid mob but I messed up at 50a combo shield. This is gonna make me sound like a sore loser but IT'S THE LAG MOM, I SWEAR. So close, yet so far. Boohoo. - Craft for enchanted penta shield and/or enemy delay to survive hickups on the way. - Wish for no 45k first strike as that is GG. - Plan carefully on 50a. All welcome to join level 13 guild "Madhead"